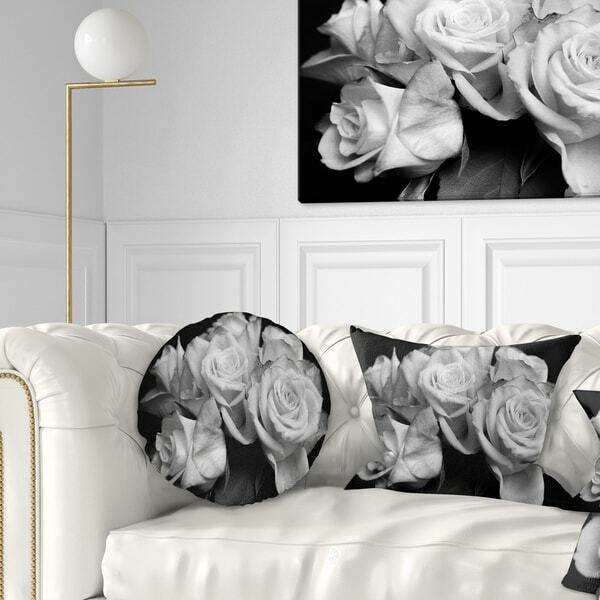 They just arrived, & they go wonderfully with both the 'Silver Orchid Crain Michael Harrison 'Gardenia' Canvas Art' & the 'Bunch of Roses Black and White - Floral Canvas Art Print' which hang above the love seat they are on. It all goes together great. Can't wait for the 'Chris Paschke "Black and Teal I" Framed Plexiglass Wall Art' to get here as well. 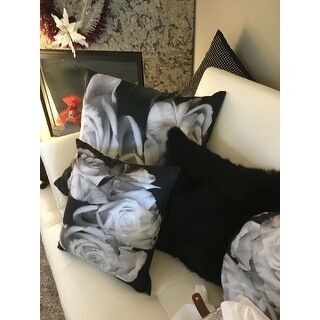 Option: Large - Round - 20 inches round | Large - Square - 26 in. x 26 in. | Medium - Rectangle - 12 in. x 20 in. | Medium - Square - 18 in. x 18 in. I Love Love Love! 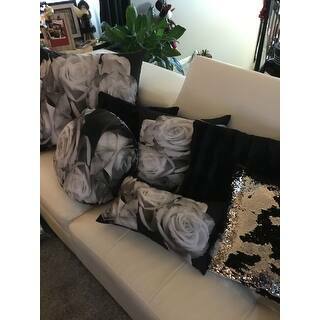 I've bought so many different pillows, but just couldn't find the ones that really WOW'D me... These did! 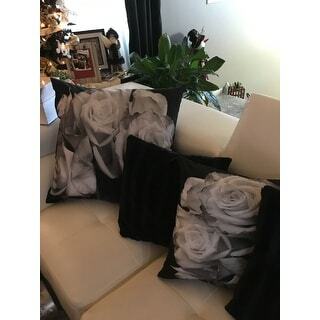 I have to say, I was a little shocked to find the 3 largest when received, were in a big box with no wrapping on them.. Also, the pillows say black and white, but what have green in them as well.